Carina Chapman wants a vacation. Somewhere hot. Somewhere decadent. Somewhere far, far away from her complicated life in New York. Somewhere in Australia appears to be the answer, until Carina discovers her PA has booked her into the wrong resort. 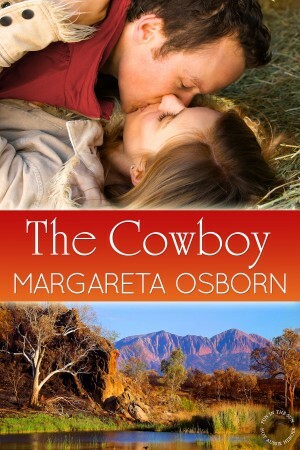 Cowboy Jake Richardson can cook a mean camp-oven roast, track wild horses, breed cattle and knows Australia’s rugged High Country like no other, but he needs to diversify if he wants to keep his land. Tourism seems like the answer, but his housekeeper just quit, the rooms aren’t ready and he doesn’t know a short black from a cappuccino. Then his first guest arrives. “So what do we do now, call roadside assistance?” said Ree. She was serious. “It’s an exhaust, Jake. It’s not something you carry around like a spare tire!” For goodness sake. They were doomed! The man laughed. He laughed! Couldn’t he see this was serious! Yeah right. They’d bumped and thumped their way across ridges and down through gullies not seeing anything other than boring grey-blue trees for what seemed like hours until the truck started to make noises. She was bored out of her brain, had a headache and was greatly regretting saying yes to this jaunt even before the mechanical breakdown. And now she was going to die. Right. So she could be standing there with her pants down doing her business and Thor here could come with all barrels blazing to save the day like a futuristic John Wayne. No freakin’ way! She reminded herself to breathe. Appear all calm and collected and not on the verge of hysterics. Which she was! Wild dogs, snakes. What else was there to scare the G-string off her in Australia? That black tar stuff kept carnivorous animals away? She knew it looked suspicious the minute she saw it slathered on Jake’s bread. “That just leaves the wild dogs and snakes. Terrific. I think I hate Australia.” Ree could feel tears welling, which was down right ridiculous. Since when had she been the wailing type? “I’d better prove it to you then,” he said, with one last long look at her eyes. Did you know that The Cowboy and many titles are available digitally from Tule's own bookstore? Check it out!